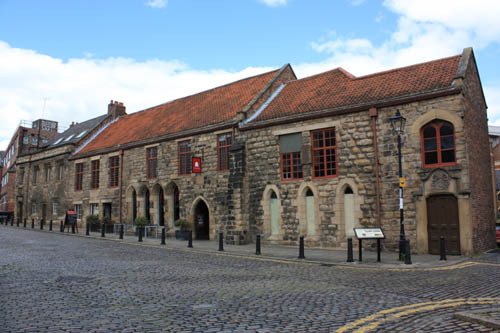 Did you know Newcastle has one of England’s highest concentrations of listed buildings? Guest blogger, JOHN MURPHY explores the North East’s building heritage and the risks historic buildings face in rural areas. We join John Murphy and Lycetts, providers of insurance for listed buildings in an exploration of the region’s listed buildings. In Britain, Listed Buildings form the backbone of some of our most famous cities – whether found prominently on high streets serving as banks or offices, or tucked away in quiet streets as ornate homes. Grade I and II listed buildings are beautiful, historical structures that have decades (and sometimes centuries) of character. They are prestigious, eye-catching and come with their own rules for builders and occupiers. The North East, in particular, has one of the best concentrations of listed buildings in the UK with many in Newcastle upon Tyne. The North East enjoys a far higher concentration of Grade I and II* listed buildings than other regions. Grade I – The national average for concentrations of Grade I buildings (which are of exceptional interest) is 2.5% throughout England. In Newcastle upon Tyne, that number is as high as 7%. Grade II* buildings are deemed to be of more than special interest and in England Grade II* accounts for around 5.5% of all list entries. Newcastle, astonishingly, enjoys almost quadruple the national average at 20%. 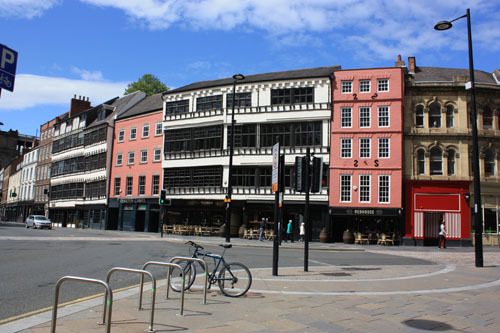 Grade II (without the *) are buildings of special interest that make up the remaining 92% of listed buildings in England and in Newcastle that figure is 73%. Grainger Town, the historic heart of the city centre, enjoys one of the highest concentrations of listed buildings in the entire country. Of its 450 buildings, 244 are listed – with 29 Grade I and 49 Grade II*. All work on these buildings is protected by the planning authority, with English Heritage involved for any Grade I and II* buildings. Some of the most famous structures in the city fall under this protection. 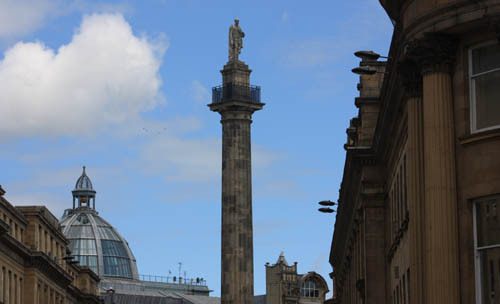 For example, the popular landmark Grey’s Monument is Grade I listed. Unfortunately, despite this protection, listed buildings are at risk due to a lack of investment and damage from both vandalism and wear and tear. The Heritage at Risk register monitors buildings of historical significance that are at risk and unfortunately, the North East is in crisis – nationally the ratio is 3.8% and the North East has 6.2%. What is causing this risk? How can the region remedy it? However, a programme of development and enhancement was started by Newcastle City Council and English Heritage. Thanks to both government and private investment through the late 90s and early 2000s, the area was revamped and now stands as one of the best examples of listed buildings in the country. Now, the more rural areas are by far the most at risk – with 30 buildings in Northumberland listed on the heritage risk list. 24 from County Durham are at risk. Compared to more urban areas, it’s clear buildings in those areas are more vulnerable. 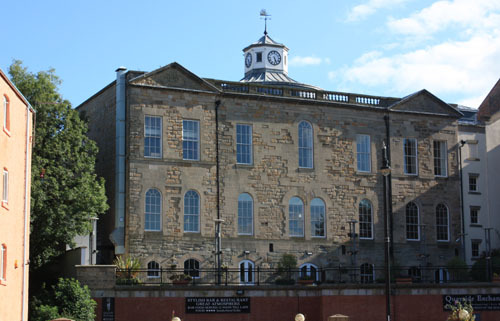 Just five buildings in Newcastle upon Tyne and six in Gateshead are on the heritage risk list – clearly illustrating that their more central location has given access to better funding and repair work. Crime is one of the biggest risks to listed buildings, especially in rural areas where surveillance and protection isn’t readily available. A national survey found that 70,000 buildings were harmed in 2011, mainly due to metal theft. However, in rural areas in the North East, such as Northumberland, the main threats to buildings seem to be erosion and plant growth. Perhaps the region as a whole needs to turn its attention to the more rural areas, especially as Northumberland grows as a visitor attraction. The historical buildings of the past must be preserved as the future nears.